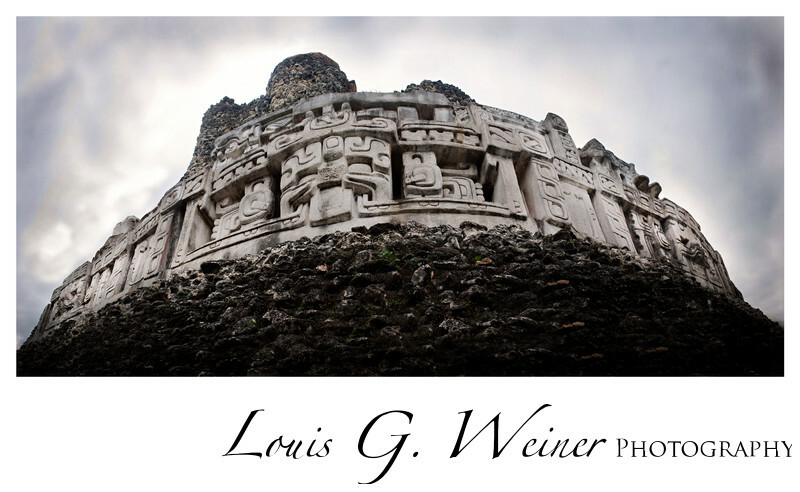 Belize Travel Photography, the image stitch process often shows distance to camera by bending the image, this subject was a restored relief at the Mayan pyramids at Xunantunich. The pyramids are beautiful I felt the life of the people from long ago just sitting amongst what remained. Location: Mayan pyramid at Xunantunich, Belize.